Most of you might be aware of WhatsApp Payments which is currently in testing phase and is only available through an invite system. 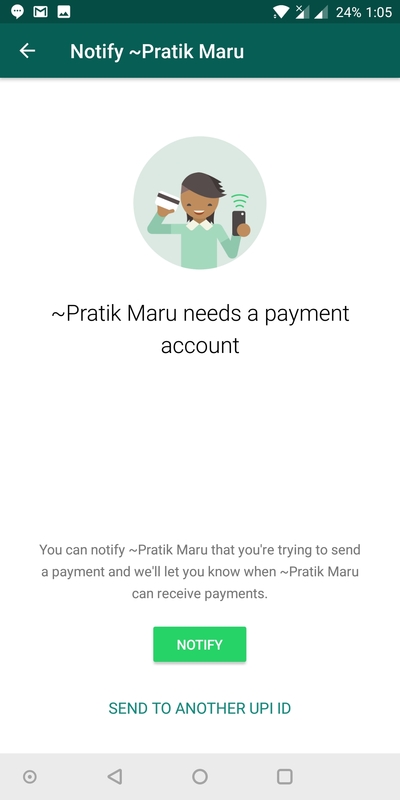 WhatsApp Payment is a UPI-based payments service, available only to the residents of India or those with an Indian phone number. 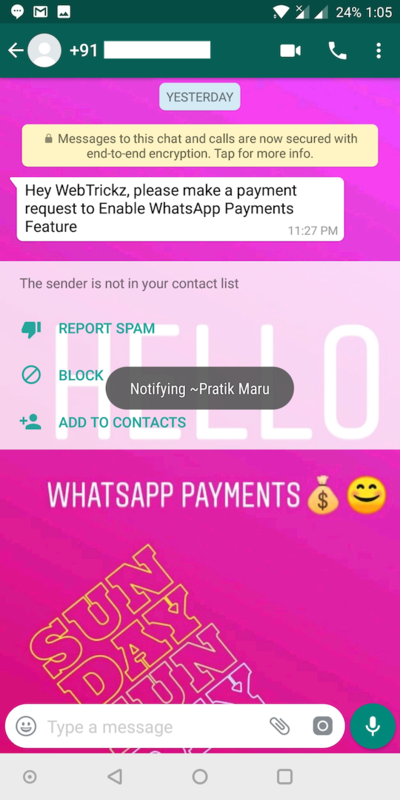 Similar to the likes of Paytm and Google Tez, the service allows WhatsApp users to send and receive money directly to or from a bank account with great ease. To get started with WhatsApp Payments, you first need to have Payments feature activated. Users then need to add their bank account or Payments bank and set up a UPI PIN if not already done. Currently, one can make a maximum transaction of Rs. 5000 using WhatsApp Payments. 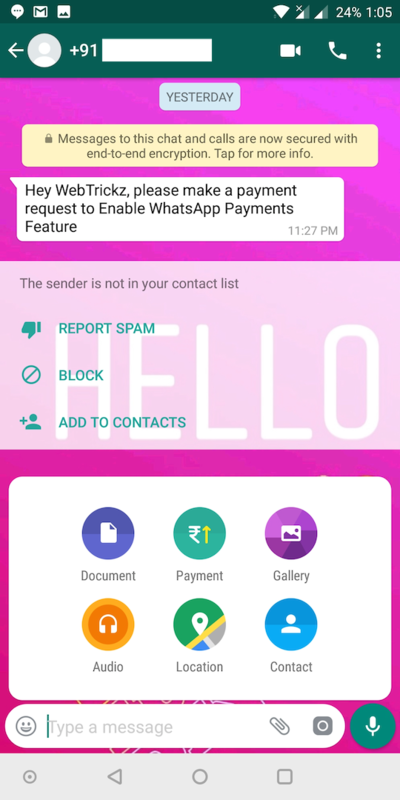 Users can also send money to another UPI ID, a feature recently introduced by WhatsApp. 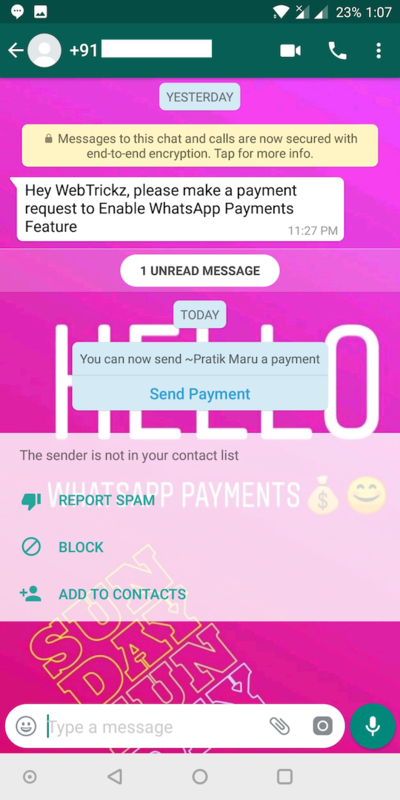 Coming to the point, most users despite having WhatsApp Payments feature enabled are initially confused as to how to invite someone in their contact and send them a payment. Though we’ve already covered the relevant steps before, we felt it’s necessary to have a dedicated guide to do this specific task. Open the desired WhatsApp contact whom you want to invite. Tap on the attach icon and select the “Payment” option. WhatsApp will now show a Notify page. Tap the “Notify” button to invite the person. The recipient will now see a request from you asking to set up the payment account. Note: This itself will instantly enable the Payments feature for them without sending any money. Once the recipient has set up a payment account, WhatsApp will notify you that the XYZ person can now receive payments. That’s it! Optionally, users can select the “Send to another UPI ID” option (while inviting someone or through Payments settings) to send money to anyone who accepts money via UPI payments system. It should be noted that WhatsApp Payments feature isn’t available for WhatsApp Business accounts yet.